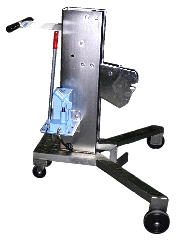 Stainless Steel Hydra-Lift Drum Karriers to move and pour drum. 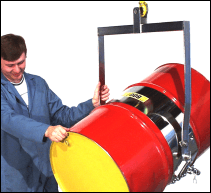 Why Buy Stainless Steel Drum Handlers? 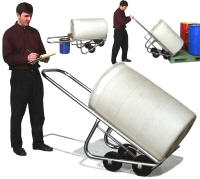 Who Buys Stainless Drum Handlers? 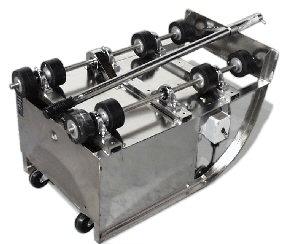 More and more people are demanding high quality stainless steel drum handlers for use in the clean environments of food and pharmaceutical companies. 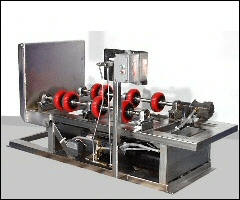 Machinery in food processing facilities requires proper cleaning and disinfection, and cannot have coatings with potential to chip off, contaminating products. In response, Morse offers a myriad of models constructed with type 304 stainless steel. 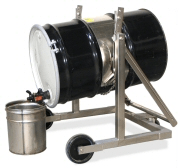 Stainless steel drum handlers provide the corrosion resistance, durability, and wash down capability these industries require. 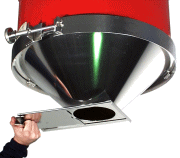 Stainless steel surfaces provide excellent quality and low maintenance for reliable, long-term use. 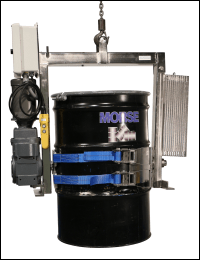 Even with the best designed equipment for these applications, proper sanitation and maintenance remain essential to ensure product safety. 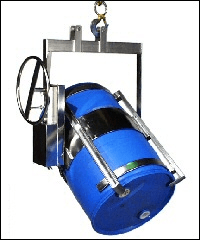 In addition to the drum handlers shown here, we also offer our drum rotators in stainless steel... and we are always willing to consider custom designs in stainless steel. Please give a call if you have a special application. 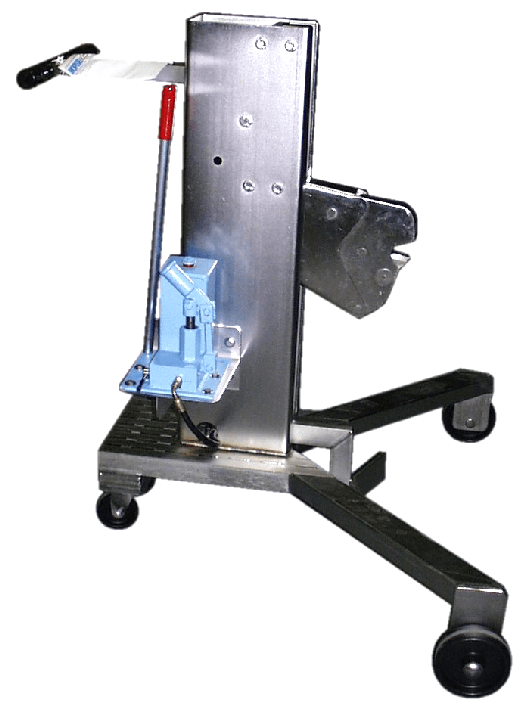 Example Application #1 - A large pharmaceutical and medical technology company called Morse to order several hundred stainless steel drum dollies. We referred them to their local Morse Dealer. 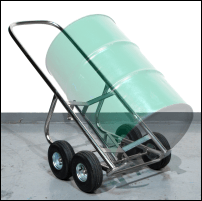 They needed their drums to be highly mobile for use in various locations within the facility. A custom dolly was developed for use with either of the two different drum sizes in their small batch manufacturing process. 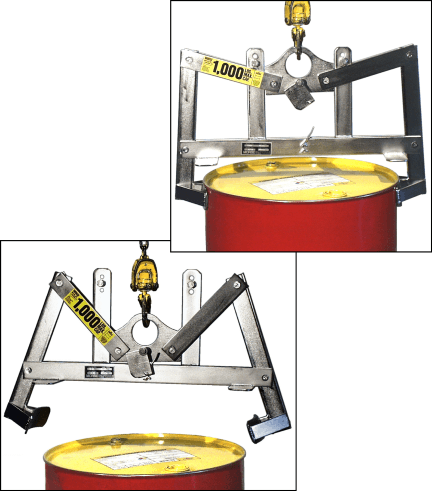 Example Application #2 - A Stainless Steel Below-Hook Drum Karrier was needed by a seafood processing company in the Miami, Florida area. 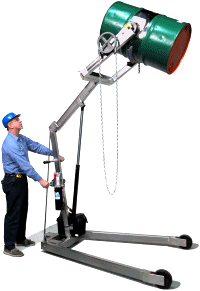 They inquired through our website, so we contacted their local Morse Dealer with all the details. 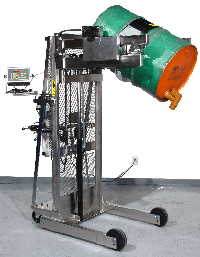 They determined that Morse model 85i-SS perfectly suited the application. The company bought one in October, and liked it so much, that they bought another in November. Stainless steel alloys, with their chromium content, have higher resistance to oxidation (rusting) and corrosion because the chromium forms a surface layer impervious to water and air. 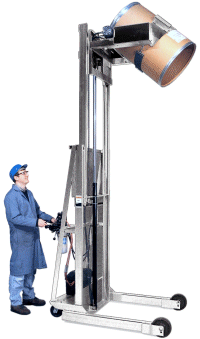 Though stainless steels are corrosion-resistant by nature, they are not completely impervious to rusting. 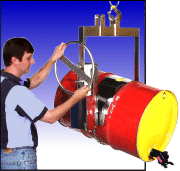 Stainless Steel Drum Handlers. 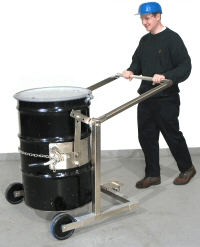 Many Morse drum handlers are available in Type 304 Stainless Steel.